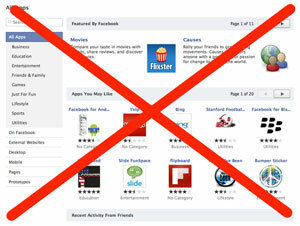 The Facebook app directory is gone, now what are you going to do? The simple answer is quite simply to search for the app you are looking for using Facebook’s search bar. According to Facebook (see quote below), the reason the Facebook app directory is gone is because no one ever really used it. So you are going to be missing the Facebook app directly? According to Facebook, more than likely you never used it in the first place. What are you thoughts about the Facebook app directory being gone?